Lincoln Park Zoo is a world of wildlife in the midst of skyscrapers. Located within a verdant park right on the shores of Lake Michigan, just minutes north of downtown Chicago, the zoo has been a natural, free oasis for generations of animal lovers, who visit the zoo to hear a lion’s roar echo off nearby apartment buildings, see gorillas climb trees as the Hancock Tower looms in the distance, or forget where they are as they immerse themselves in tropical rainforests, dry-thorn forests or spacious savannas. 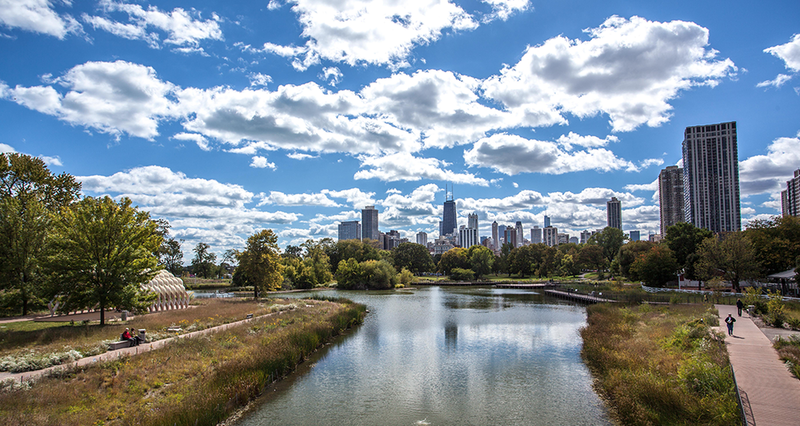 We are excited for you to see and explore all that Lincoln Park Zoo has to offer! Download the Lincoln Park Zoo Map and Guide for Guests here. The zoo’s research and conservation efforts focus on programs in population biology, applied animal behavior, primatology, conservation of wild populations, epidemiology, endocrinology, cognition and learning, and veterinary medicine. These disciplines are organized into five primary research centers, with each center having its own dedicated research staff, support staff and funding: Population Management Center, Urban Wildlife Institute, Lester E. Fisher Center for the Study and Conservation of Apes, Alexander Center for Applied Population Biology and Davee Center for Epidemiology and Endocrinology. The Learning & Community Engagement Department at Lincoln Park Zoo creates multiple opportunities for visitors of all ages and backgrounds to have meaningful experiences at the zoo. The department runs a number of programs throughout the year. The Learning & Community Engagement Department also schedules on-grounds learning experiences and activities. Check the website for the most up-to-date information.